On the second snow day of the school year, senior Jenna Freel struggled to keep control of her car as she swerved over a patch of ice. Moments later, Freel regained control, and was able to arrive at school in time for her Poms practice that was approved to be held that afternoon. Despite the skid, Freel felt the road conditions were safe enough to drive on. “It’s kind of frustrating when … you have a snow day, but [the weather clears and] you have a practice afterward,” Freel said. 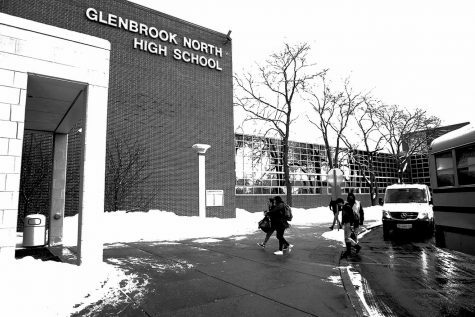 Schools in Glenbrook High School District #225 can be canceled if the wind chill falls below -30 degrees Fahrenheit, the actual temperature falls below -15 degrees Fahrenheit and the wind speed reaches or exceeds 10 miles per hour during those temperatures. Cancellations can also occur if operating school facilities and activities cannot be done safely due to weather conditions and if the roads cannot be cleared of snow in time to ensure safe driving conditions. 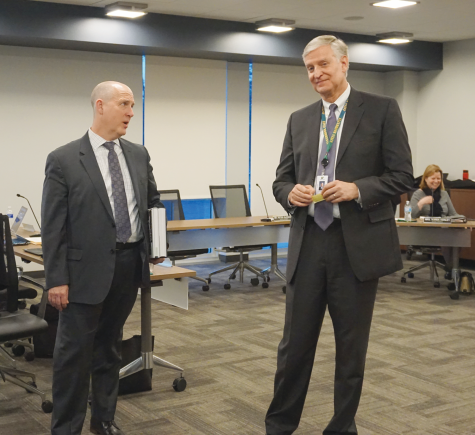 The decision to close Glenbrook North and Glenbrook South is ultimately made by Superintendent Mike Riggle. Riggle begins communications with representatives from the other school districts and the village of Northbrook beginning around 4 a.m. Notification of a school cancelation is usually made before 6 a.m. on the day of closure. From there, Riggle makes the decision based on additional information from the National Weather Service, communication with the Village of Northbrook and the district’s bus provider. 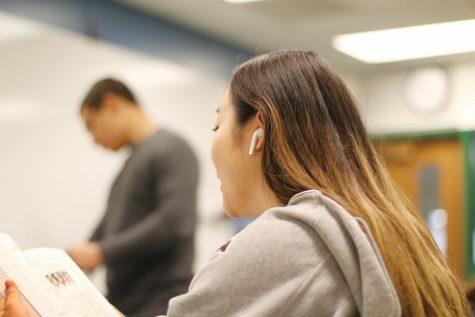 “There is a lot that has to be done in order to get [school] prepared in the morning for people to come if we feel like [having school is] a safe decision.” Riggle said. According to Riggle, since District #225 shares buses with middle schools and elementary schools in the area, he often chooses to cancel school entirely instead of having a late arrival day because of conflicts with elementary and middle school schedules. “[The local districts] all try to be similar, we don’t make an individual decision [about canceling school] because we try to keep families together. “The elementary [schools] don’t like a late arrival schedule, they got a lot of complaints from families saying that it’s not easy for them to do,” Riggle said. According to Riggle, Illinois high schools need to be in session for 176 days and the District #225 calendar has 178 days scheduled, including two reserved emergency days that can be used to make up school days that have been canceled due to weather. As of Feb. 25, school has been canceled four times due to inclement weather. For after-school activities, Riggle said if school is canceled due to inclement weather during the day but environmental and road conditions improve later, students can return to school for afternoon activities, such as sports practices, if the activity is approved to be held by the school.